A music stand that stands out from the rest. The Manhasset Noteworthy Music Stand – Electric Guitar Design is one of the coolest designs in the Noteworthy Collection. 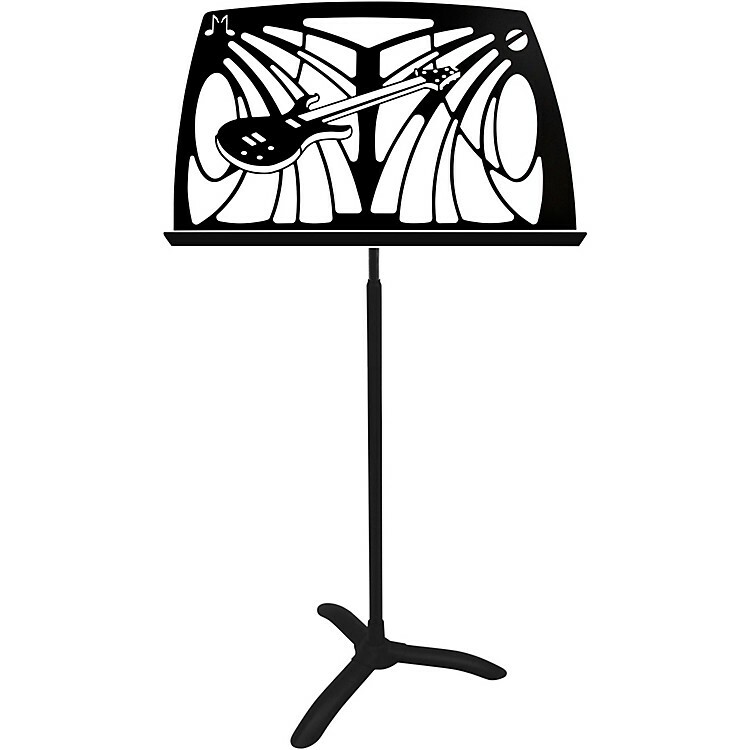 These music stands combine Elegant Images for the Artist and great functionality for many years of use. Laser cut from heavy duty aluminum and powder coated for durability, the Electric Guitar Design of the Manhasset Noteworthy Collection allows the musician to make a statement whether it is used at gigs, or in home studios. These stands include the famous Manhasset shaft with Magic Finger Clutch to allow for easy height adjustment without unsightly knobs. And the stands also feature the Manhasset Symphony base for stability and durability. They are a wonderful gift for professional musicians, band directors or budding musicians. These stands are Made in the USA and offer a Lifetime Warranty. If you play guitar and need a stand, this is the one. Order today.